A lot of factors define a successful and reputable online casino, with the license, advanced payment systems, the highest security and a wide range of games being just a few worth mentioning. Yet probably one of the most important factors that lay the groundwork for a great casino is innovative online casino software. That’s why we decided to provide you with a recap of the best options available for casino owners today. To begin with, the most popular online casino software developers are Playtech, Microgaming and Net Entertainment. They are recognised by an overwhelming majority of experts and provide licensed software to run a legal online casino business. Check out our definitive guide to the best online casino software developers that can empower your business to grow and succeed with their innovative solutions. Microgaming is one of the first casino software providers that started back in 1994. Without a doubt, it is the leading provider dominating on the gambling market and offering no less than 700 amazing titles. The company is known for its innovative ventures and develops games for all platforms including the live dealer, online and mobile. Quite simply, Playtech is huge. It’s even on the London Stock Exchange so that’s a reliable and reputable vendor to turn to. They are resourceful, innovative, creative, and lead the online casino software segment in core areas. Ever played the Book of Ra? Then you know that Novomatic is synonymous with exceptional design of its casino games that deliver unique gaming experience. Overall, Novomatic specialises in developing theme-focused slots, mainly about the adventures. Net Entertainment, or NetEnt, is a proud developer of more than 200 excellent online casino games that make it a go-to choice for many casino businesses. And for a good reason, too – their games are highly praised by gambling experts. Are you a fan of 3D slots and want them to be accessible via mobile too? Betsoft has got you covered as it develops one of the most amazing slots on the market. Their distinctive feature is a fantastic design that manages to mimic reality particularly well. Part of Microgaming brand, Quickfire particularly focuses on games for browsers. If this is your cup of tea, you should definitely give it a try, especially as all the games are also conveniently accessible on mobile. Located in Sweden, Play’n Go evolved from a small developer of basic online games to a powerful team of gifted software developers creating impressive offering and growing its portfolio of 70 games with every year. Amatic is one of the pioneers of the modern virtual gambling market. This Austrian company has a huge selection of games. A variety of modern games are available and those players consumed by nostalgia for the older games can find their match too. This Australian developer has 18 years of experience working on the virtual gambling market and is well known for its content-rich, interactive slots. EGT, or European Gaming Technology, is definitely your destination if you can’t decide what you want to play: new slots or older ones. EGT has plenty of both in amazing quality. Another software developer from Sweden, Quickspin aims to create the best video slots in the world and it looks like they are succeeding. Their video slots are cutting-edge, realistic and highly entertaining. iSoftBet develops creative, funny and easy to play games that will take users seconds to grasp. The company’s offering is famous for the exceptional and realistic design and user-friendly interface. IGT, or International Game Technology, develops interesting casino games and slots and is now part of GTECH which hints at the fact that the gaming industry will soon see even more top-notch games released. Can you imagine that Aristocrat developed its first slot in 1953? It’s amazing when you think of the experience and expertise these guys accumulated over the years. And their famous Reel Power feature is well known amongst all dedicated gamers. An impressive portfolio of 300 games for online casinos makes Amaya gaming one of the toughest competitors on the virtual gambling market. They are known for cutting-edge design and creative solutions. If you are always on the go, Elk Studios is the best option available for you. 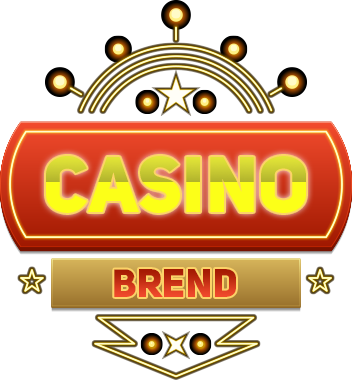 They specifically work with the mobile casino games and are constantly innovating to make your experience seamless. They currently have only 3 titles but, without a doubt, they are going to grow fast. Retro slots and casino games from this developer can be found in abundance. Yet contrary to what you might expect, all of these games are top-notch quality and great design. A throwback to the older days! As its name suggests, Realtime Gaming focuses on developing real-time slots known for being funny, interactive and easy to navigate. And by the way, it’s working in the US market too! NYX Interactive specialises in betting software for online casinos and is one of the most experienced developers in this area, having multiple offices throughout Europe and employing numerous staff. Definitely your choice if you are looking for live dealer casino software. You won’t even think you’re not in a real casino as their games are so fantastically realistic. Yggdrasil, despite being launched in 2013, has already built its name as one of the leading providers of video slots. But that is not the only specialization of this company as they also focus on online betting software which is now officially used by a bunch of notable online casinos. This Czech company is a relatively new player in the virtual gambling market. Founded in 2012, it’s nevertheless quickly expanding and claiming its place in the market. Another new company on a virtual gambling scene, Thunderkick was founded in 2014 and makes the whole market (and you know how competitive it is) talk about it ever since. Playson creates a versatile offering for online casinos. Whether you need slots or skill and casino games, these guys have got you covered. It’s worth remembering that their software is of an outstanding quality.